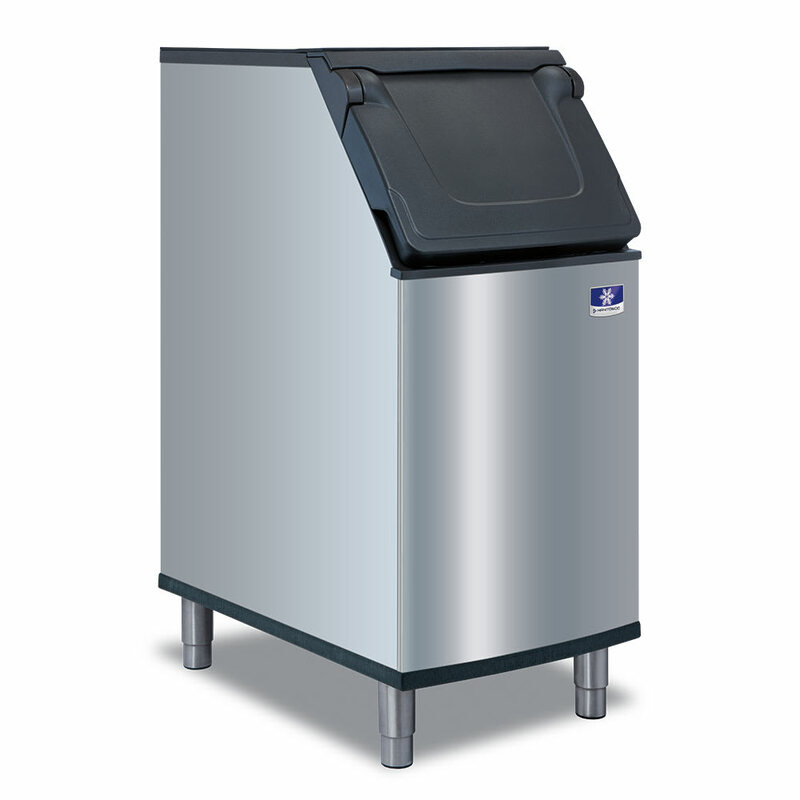 The Manitowoc Ice D-420 ice bin has a holding capacity of 310 pounds and comes with an ergonomically-designed scoop. With a molded-in retaining lip, the scoop can hold 5.3 pounds of ice. When operators retrieve ice, their hands will not come in contact with the ice since the scoop has built-in guards. The scoop holder is located above the ice line, promoting sanitary practices as it limits physical contact with the ice. 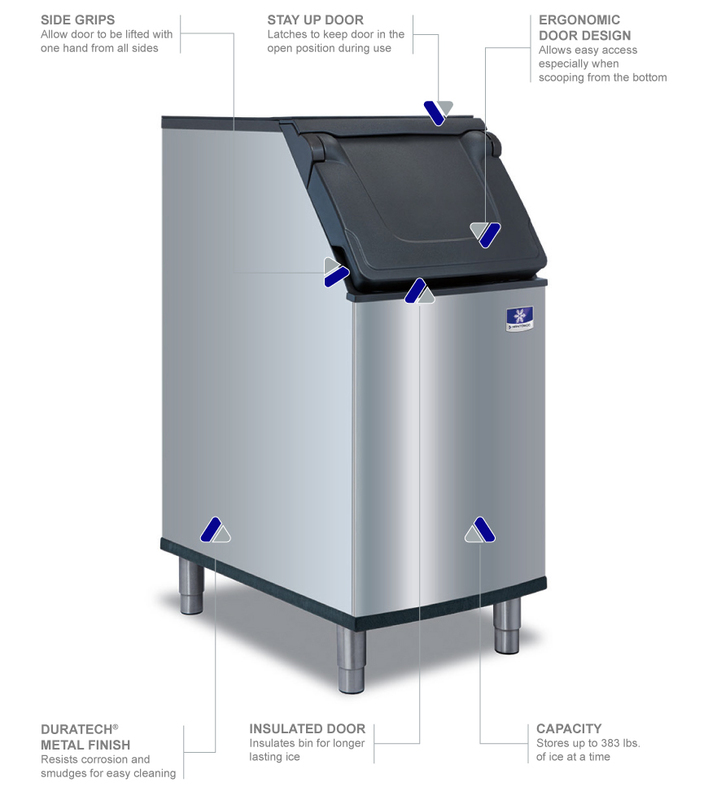 A self-latching door can be propped open, providing access to the Manitowoc Ice D-420 ice bin. Foam insulation in the door ensures ice will not melt quickly. Take a look at the ice machines buyers' guide to read more about ice machine formats. Price Login for More Info! $835.00 NEW LOW PRICE Login for More Info!